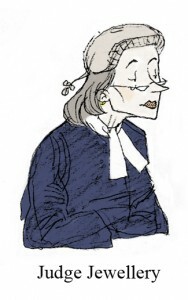 “I have to say I’m very much looking forward to the government implementing their plan to have judges assessing criminal advocates,” said OldSmoothie. “You what?” said TheVamp looking incredulous. “I find that threatening to report them to their own chambers has just the same effect,” said OldSmoothie. “And you think adding another weapon to the arsenal of the bully judge is really going to help the cause of justice and a fair trial?” said BusyBody.